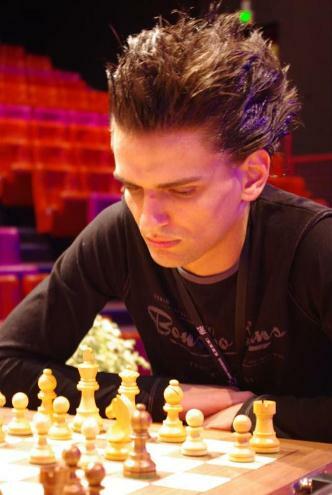 The presence of Sebastien Feller, found guilty of cheating at the Olympiad by the French Chess Federation, was always likely to provoke debate, but it appears to have led to the European Championship taking place under a cloud of suspicion and even, perhaps, paranoia. The open letter, signed by around 20 players and made available yesterday by Francisco Vallejo Pons (due to play Feller on the same day), refers to “rumours and allegations about possible cheating using electronic devices and outside help taking place during the European Individual Championship in Aix-les-Bains”. It proposes giving the arbiters the power to conduct searches, electronic devices being banned from the venue (even if switched off) and the option to unplug electronic boards. Jan Smeets scribbled a note when signing to say he didn’t agree with the last point and thought the 15-minute broadcast delay, in place at the event, was sufficient. Strangely ChessBase focussed on the campaign to implement that measure, though the players were clearly stating more had to be done. No players are mentioned in the published letter, but Sergey Shipov’s report below suggests another letter existed, where names were actually named. The Russian original is at Crestbook. I didn’t want to continue the cheating theme, but it has to be done. The spy intrigue at the European Championship has flared up again with new force. This morning I was calmly having breakfast in the hotel, bothering no-one and discussing an interesting opening variation with my student. And then suddenly Silvio Danailov approached with the words, “And what does the world’s best commentator think about Feller’s cheating?” Such crude flattery didn’t hinder the conversation. We developed and expanded on the theme. It turned out that a group of grandmasters had written a new letter, in which Feller was again accused, but not alone (the French chess player Wirig also came under fire), of cheating – that is, of dishonest play right here, at the European Championship. I expressed my personal opinion that in the given tournament Feller has clearly been playing on his own. I’d looked at his games and come to that conclusion. Plus, it’s not quite clear how he could cheat at this tournament. The method mentioned in the arguments about the Olympiad clearly wouldn’t work here. For example, today I had a look and assessed the situation in the playing area. That same notorious Feller was sitting at the board – his hair cut short, a thin t-shirt on his back, hands on the table. The man was sitting there, thinking. No spectators were looming before his eyes. It’s not the sort of enormous hangar you get at the Olympiad, but a stage on which there are no extraneous people. Everyone’s visible. And the permanent audience consists of one and a half people at a respectable distance. How can he, a mere man, learn the computer’s recommendations? Transparent micro-transmitters in his ears? A transmitter on his skin that works using Morse Code? Or does he only get to know the recommendations a few times a game, when he leaves to go to the toilet or pour coffee? Meaning that his assistant would always have to be on duty there? All in all, it’s unlikely. I’ll remind you of the phrase I used in the previous letter: “After all he’s not an idiot, and in such a delicate situation he wouldn’t repeat his past deeds… if there were any.” So then, many people think that he is, nevertheless, an “idiot” i.e. that’s he’s persisting in cheating, regardless of the reaction of the whole chess world. That’s probably why those supporting the accusations have become active just now. Frankly, I find it extremely unpleasant that all the people around us are talking only about cheating. It’s created an unhealthy atmosphere. Passing smoothly into mass paranoia. In general, that’s already becoming like the security measures when boarding a plane. I’m not yet ready to express a clear position on that, but I like the second letter (or the second point of the one and only letter – it makes no difference) much more than the first. Although it’s still controversial, it’s nevertheless a constructive suggestion – an anti-cheating measure rather than an attack on particular people. Measures must be taken. Globally. For everyone! Let’s not engage in a witch-hunt. P.S. You’re asking me why I’ve called this letter “Danailov’s Dances”? It’s because he’s an artist. And when our conversation got onto the methods of transmitting the necessary moves to the player Silvio began to humorously depict various movements. P.P.S. There’s also good news. Alexander Khalifman’s protest had an effect. Eight tables were removed from the uncomfortable third hall – which immediately made it more spacious and convenient for all those remaining. The aisles between the tables became wide enough for the players to move around painlessly. It’s good, after all, to be a famous and titled player! If someone else had complained there might not have been a reaction. “Paul”, from Hungary/”USA”… All reasoned views (or even unreasoned polite views!) are welcome – but please don’t simply insult people. I’ll just remove similar comments in future. I agree with Shipov that this at least borders on paranoia. Actually the letter directly accusing Feller and Wirig was (to my knowledge) so far only mentioned by Danailov – and we know that he isn’t always the most reliable source … . But I disagree with him that Feller’s performance in Aix-les-Bains “indirectly proves his innocence at the Olympiad”. 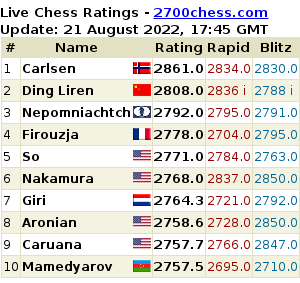 Cheating cannot turn a (comparatively) weak player into a strong one, because too much outside (engine) assistance would be required to bridge the gap between 2200/2400 and 2650. But it can turn a strong player into an even stronger one – one or two hints during a game would be enough. An analogy from my other hobby running: With doping, a marathon runner might gain a minute (difference between first and second place). But he will not gain an hour (difference between first or tenth and, say 567th place). So while I don’t think that Feller – as some people suspect- cheated throughout his career and would be nowhere without it, I also don’t think that “there was no need to cheat before either” (bold letters in the original Russian version?). Yep, it’s in bold in the original Russian. Probably the wording would be better if it said nothing about proof, but just that e.g. some might see it as strengthening Feller’s case. A couple of people at Crestbook also didn’t like that section and Shipov responded by saying it was actually an opinion expressed by someone he’d talked to at the championship who’s closer to events. He also added that it wasn’t really one of the main points he was trying to make. Did you think an illusionnist stop his show because there are many people all looking for the puzzle ? Hello, well all this affair of cheating accusations by FFE is not very clear. – to be sure to win the prize and to earn money and give it to his friend IM Marzolo ? – to gain some more points on the elo ranking ? – To gain the next elections for the presidence of FFE in the name of the ethic ? 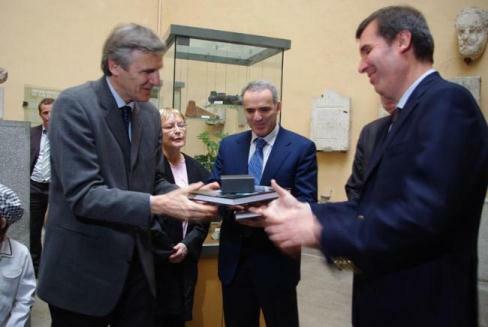 – to exclude one young talent who was clearly opposed to the FFE before this affair (he is pro Iloumzinov and ffe pro-karpov et the fide elections) in favor of Friends of the FFE ? That some reasonable questions we can ask for now. 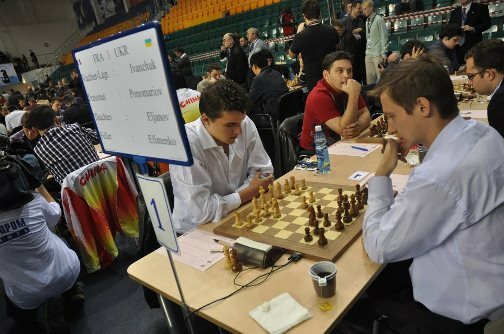 – Feller was in the shadow of Vachier-Lagrave. This may be because the federation prefers VL, or because he is an (even) stronger and more talented young player. In any case, the Olympiad was Feller’s chance to get some media attention and recognition – initially the type he may have wanted. – They weren’t “selfish”, but wanted the best for the French team by all available means. If caught (but cheaters don’t think they will be caught), they may have expected tacit approval from the federation, rather than investigation, condemnation and punishment. 2) If there was no cheating … well, personally I find it hard to believe that the accusations were invented, and the evidence fabricated. To me it seems that Hauchard was a friend of the federation (team captain and long-term coach of Vachier-Lagrave), did “they” sacrifice him to hurt Feller?? Also France is, to my knowledge, a democracy. The federation isn’t some sort of Communist party where the boss rules, and the others follow his orders. The disciplinary commission that decided on the Feller case included men of flesh and blood with independent brains.